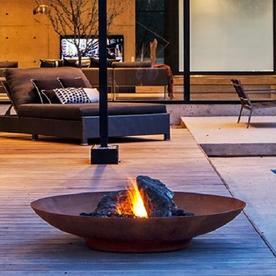 Large fire pits in timeless Corten Steel, gather round and find the viking in you.. 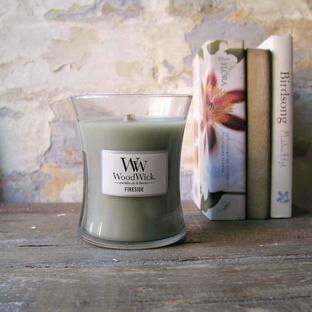 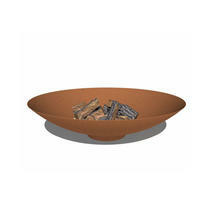 The simple round shape allows you to enjoy the warmth and atmosphere that this garden fire offers you from all sides. 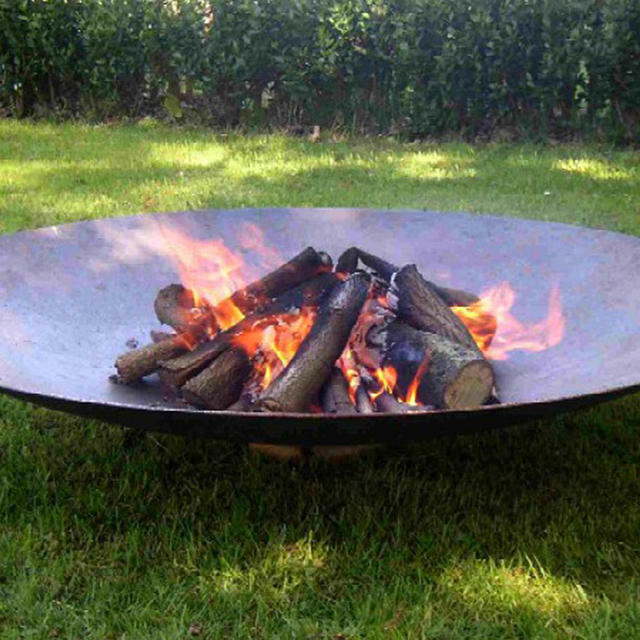 Perfect way to add a little a cosiness to your garden or patio with this simple elegant fire bowl. This garden fire pit has a sleek and timeless design, the simple round shape lets you to enjoy the warmth and atmosphere from all sides. 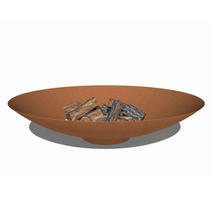 The firebowl has a simple rim on the base to lift the bowl slightly off the ground. 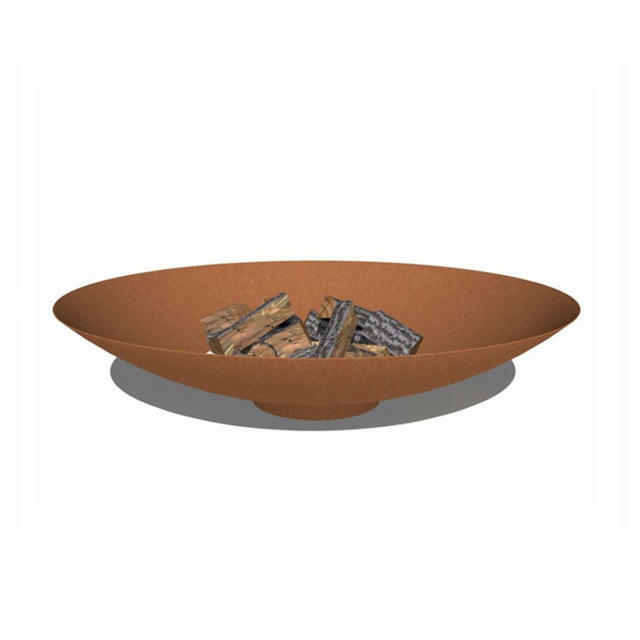 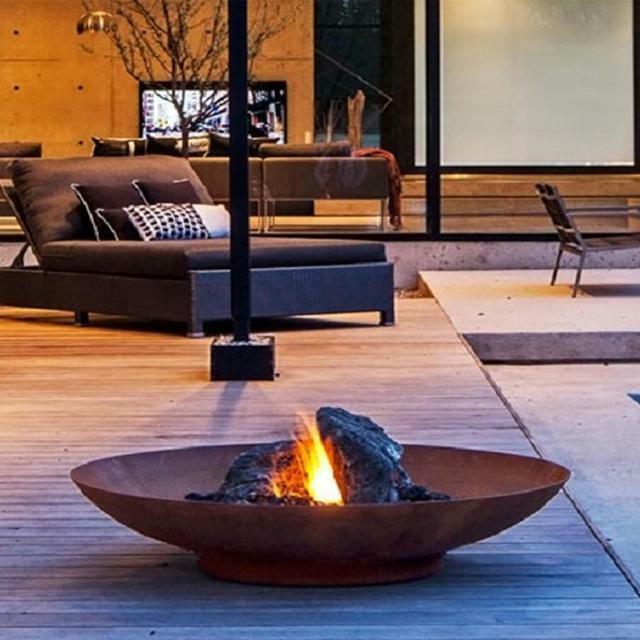 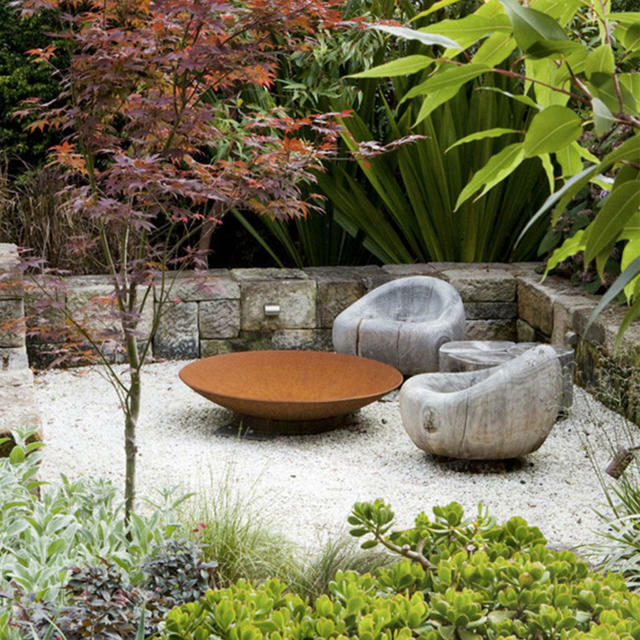 Made in Corten Steel the fire bowl is robust and weather resistant. Finished with drainage as standard. 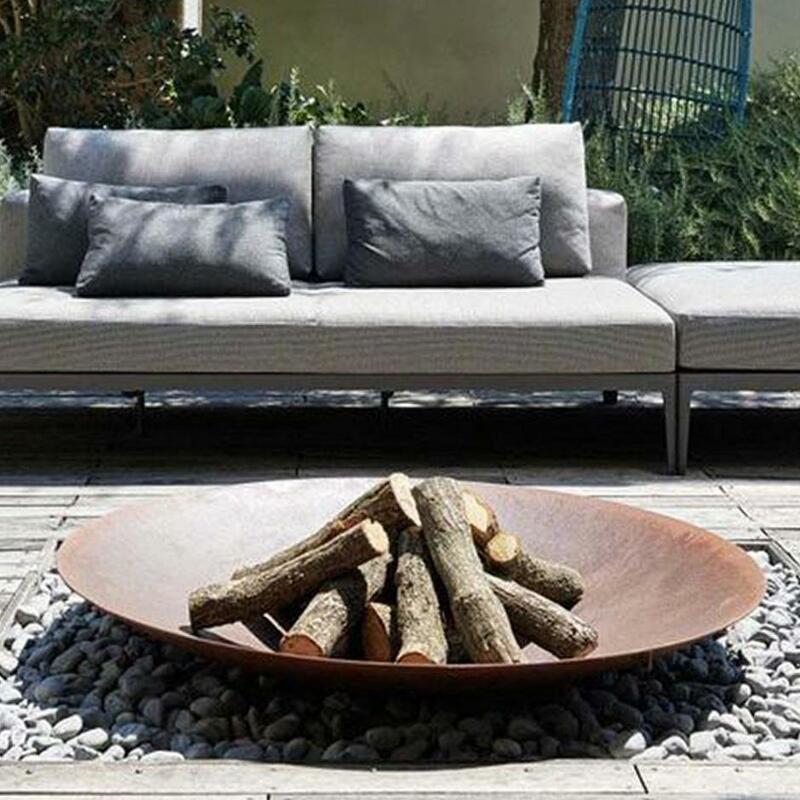 Because of the nature of the produce, we would advise not siting the firebowls on delicate or light paving until this process has taken place. 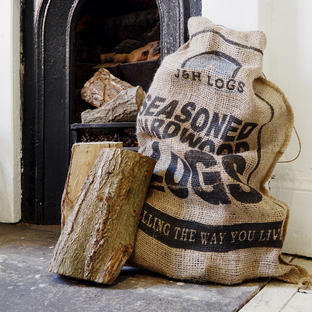 Unpack the bowls immediately so any moisture between the packing and product is not sealed as this can can cause irregular rust stains as the fire bowl starts to weather.